← Merry Christmas from Puerto Viejo!! 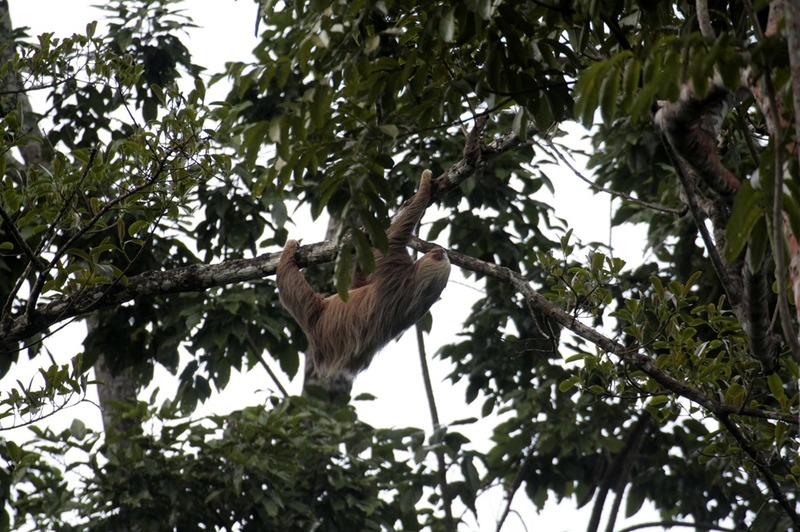 This is a picture of a two toed sloth just hanging out in our trees. They are very different than the three toed sloths – they move much faster and are more aggressive. I think they look like a cross between “Cousin It” and “Chewbaca”. We have had several sloths around lately. The rain seems to make them sleepy so that just find a tree and roll up and sleep or look around for hours. I will be leaving next week to head to Wyoming to take care of mom for a while. She broke her hip about 10 days ago and had surgery to repair it. My wonderful sister is flying me back using her airline miles – she flies all over the country in her consulting job almost every week so she has a bunch. It is an amazingly generous thing to do though – thanks Marla! !